Our aim is to make beautiful and comfortable shoes. Our brands are Paso de Fuego, Mi Sueno and Galupi. 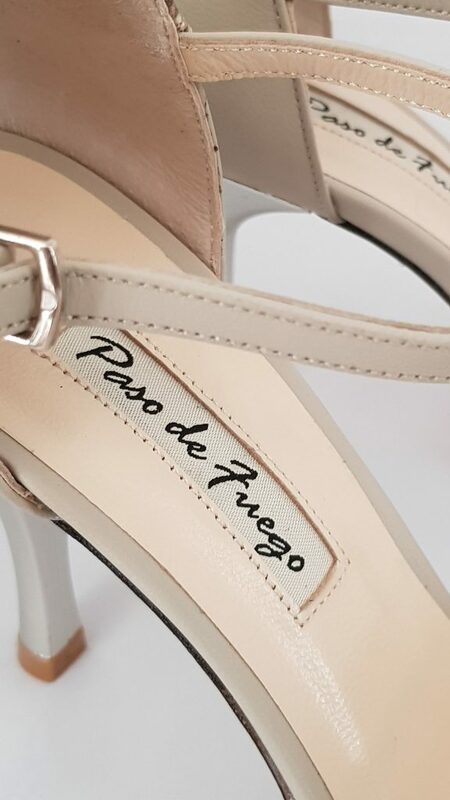 We make and sell our own shoes and are no resellers.The shoes are made to best fit the customers by offereing the shoes in three different heel heights and three different widths.The shoes are padded to ensure comfort for the feet for dancing for hours at a stretch. We employ our own designs and the selection of materials and the manufacturing process. Apart from stitching all operations are done by hand.